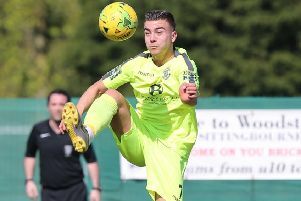 A young Hastings United goalkeeper played a starring role as Sussex reached the semi-finals of a national competition. Dan Rose was one of the heroes as the Sussex County FA under-18 team won 7-6 on penalties in an FA County Youth Cup quarter-final against Middlesex yesterday (Sunday). Rose pulled off two fine saves in the shoot-out and the second of them - from his opposite number in sudden death - allowed team-mate Michael Waller to score the winning penalty. The local boy had earlier made a key save in either half of normal time at Culver Road in Lancing as both normal and extra-time failed to produce a goal. Rose is a regular in the Hastings United/Ark William Parker Academy side which plays in the Football Conference Youth Alliance League, with matches on Wednesday afternoons. He also made his senior debut - and performed admirably - in the 2-1 win away to Whitstable Town on January 16, just five days after his 17th birthday. * Hastings United are running a coach to their first team game away to East Grinstead Town tomorrow (Tuesday), departing The Pilot Field at 4.30pm. The cost is £12 for adults, with a £2 discount for supporters’ club members, and £5 for under-18s. Call Dave Russell on 07970 332270 or email davidrussell881@hotmail.co.uk to save a place.